Arriva continues to expand its inter-urban brand, MAX, launching 17 new-look buses in Yorkshire. The £3.7m investment sees 17 new ADL Enviro400 buses introduced on the 202/203 route serving Huddersfield, Mirfield, Dewsbury, and Leeds. The new buses were launched on 23rd March at the White Rose Shopping Centre in Leeds. Hosted by ‘Titan the Robot,’ the event was open to all and offered local schoolchildren free day tickets and an opportunity to tour the bus. 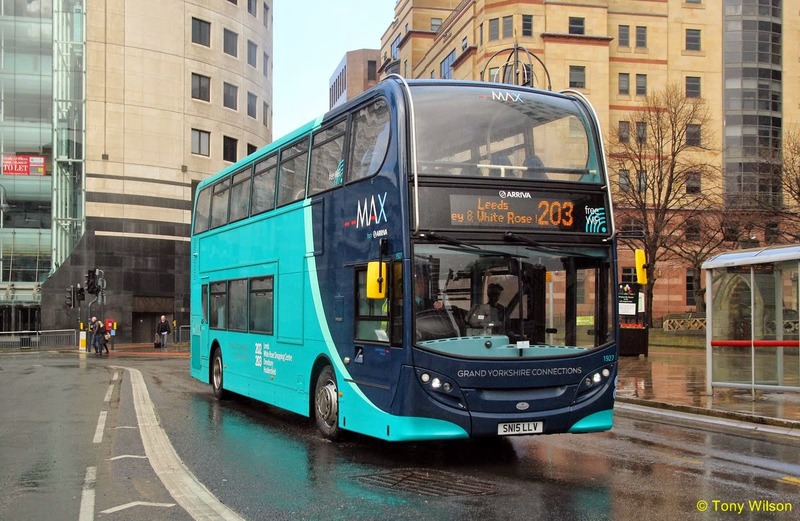 Nigel Featham, Regional Managing Director for Arriva Yorkshire, says: “The Arriva MAX concept will lift the quality of the 202/203 service even further and enhance the journey experience for all customers.